Everywhere you turn there’s another thought leader or business strategist talking about the importance of digital transformation. In an IT survey conducted by MuleSoft, more than two-thirds of IT decision makers (ITDMs) said they were undertaking digital transformation initiatives. One of the key factors to achieving digital transformation is organizational agility. 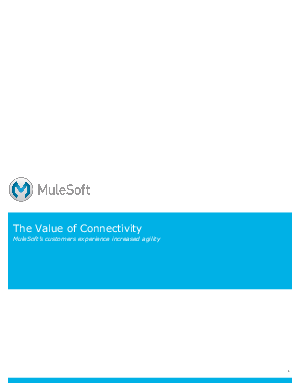 In this whitepaper we will discuss the measurable and quantifiable benchmarks to achieving greater agility and show how, by implementing an application network, companies in numerous industries were able to meet and, in many cases, exceed those benchmarks.